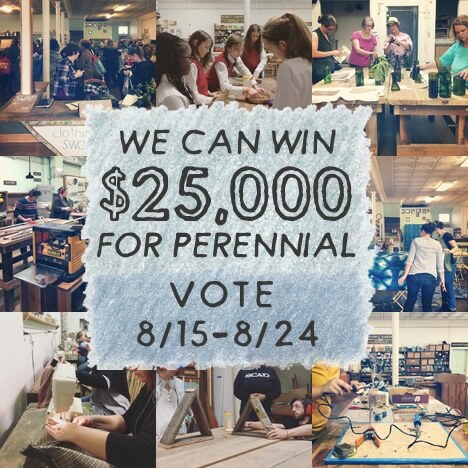 Join the Perennial team at different St. Louis County library branches for this program! Explore uses for a variety of common tools. 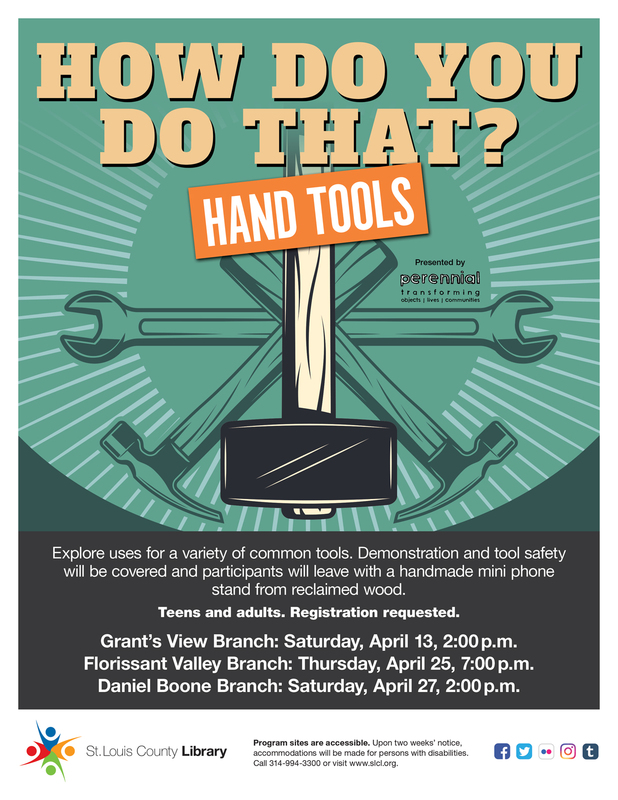 Demonstration and tool safety will be covered and participates will leave with a handmade mini phone stand from reclaimed wood. Teens and adults. Registration requested. Florissant Valley: Thursday, April 25, 7:00 p.m.
Daniel Boone: Saturday, April 27 at 2:00 p.m.
195 New Florissant Rd., S.